If you had a chance to try your hand at Geometry Wars on XBLA you know how good this game looks and plays and I'm sure you will be as happy to see this bit of information that shows that a part two might be out real soon. 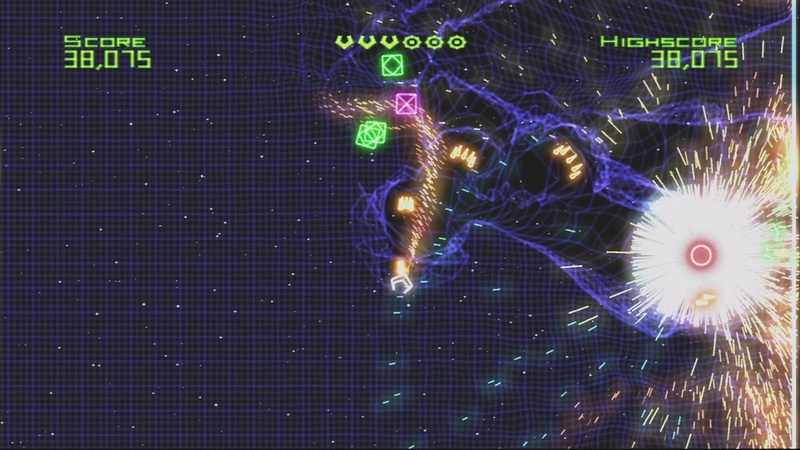 Geometry Wars became an instant classic when it first appeared in Project Gotham Racing® 2. This exclusive Xbox Live Arcade sequel gives you both the original Retro version and a new Evolved mode, which combines modern graphics with old-school fun and now we might have a chance to do it all again. 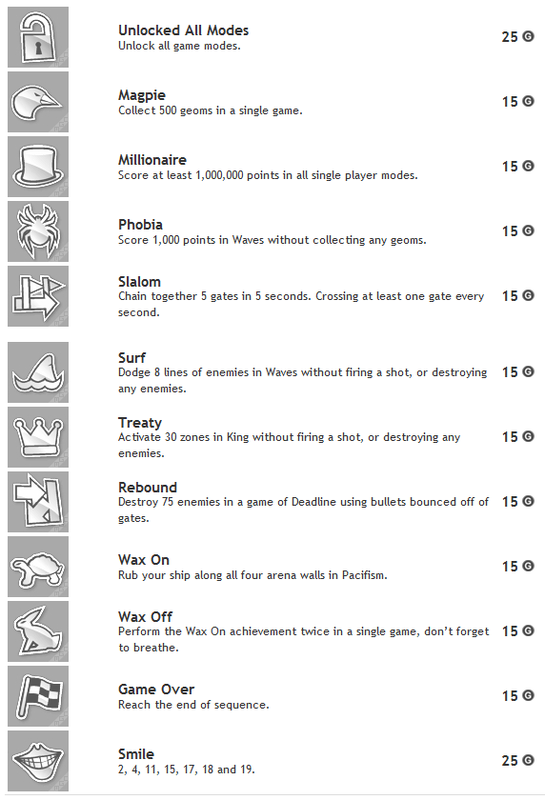 Click the achievements list for a larger view since i had to scale it down to fit in the post.